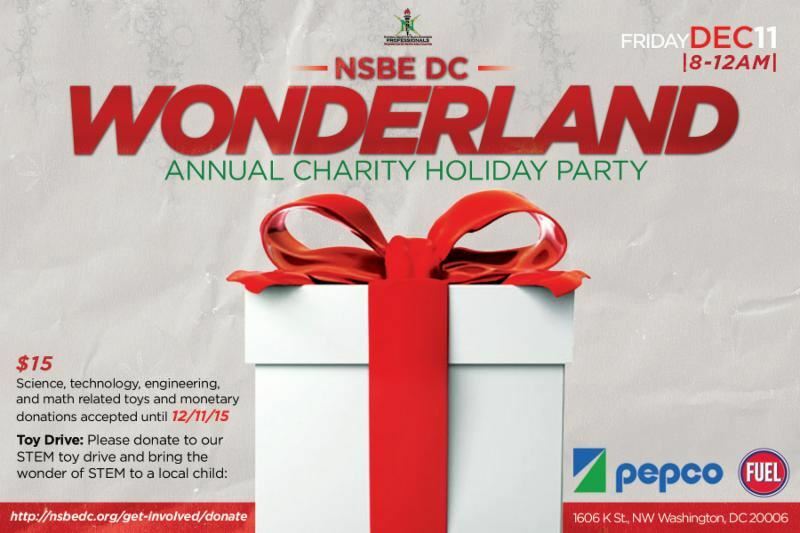 Join us tonight for our annual charity holiday party at Fuel Pizza, 1606 K St. NW, Washington, DC 20006! Food: There will be an assortment of pizza, salad, wings, and bread. Soda and water will be available as well. Alcoholic drinks (beer and margaritas) are available for purchase. Karaoke: Uncle Daddy Karaoke will be there so you can sing your hearts out! DJ: We will have a DJ spinning your favorite tunes for you. Tickets are $15. Dress code is Classy Casual. If you take the Metro, you can take the Red Line to Farragut North or the Blue/Orange/Silver Lines to Farragut West. We are collecting unwrapped toys and monetary donations to benefit the Boys & Girls Club for children aged 5-18! 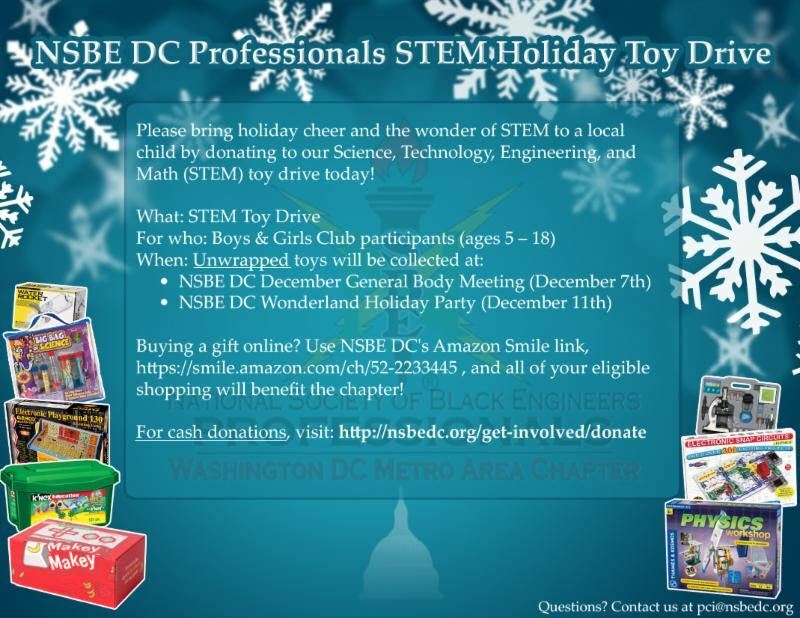 Buy a gift online via the NSBE DC Amazon Smile Page! Donate through the website via the NSBE DC Donation Page! Bring unwrapped STEM toy to the Holiday Party tonight! Make Learning Fun: The 28 Best STEM Toys for Kids!